Lighting is a key element in any landscape design, which can instantly enhance the beauty, functionality, and safety of your outdoor space. In order to be effective, lights must be placed in strategic locations throughout your property, and in order to ensure they last, they should be professionally installed using high-quality materials. The outdoor lighting design and installation experts at Lawrence Landscape have been providing top quality services to residential and commercial customers in and around the Lawrence area since 1987. We can help transform the look and feel of your landscape with outdoor lighting solutions to suit every size and type of property from commercial buildings to the finest homes. Contact us today to learn more about our outdoor lighting services or call us at (785) 748-1232 to schedule a consultation. Pathway lights are placed at regular intervals along pathways leading to your front porch, doorway, or those which connect separate areas around your property. Whether they are placed in or above ground, their purpose is to provide a source of light at your feet to enhance safety. Showcase your pool or water feature, and help prevent accidents with underwater lighting solutions from Lawrence Landscape. As the name suggests, this type of lighting is placed close to the ground, casting the light upwards for a dramatic effect. Uplighting is used to illuminate signage or addresses, highlight interesting trees or shrubbery, or create a focal point in your landscape. Lights are placed high above the ground in an effort to mimic natural daylight or moonlight, and they are commonly used for security lighting or to highlight a wide surface area. Floodlights or spotlights can be used effectively to cast a bright light on a specific item or area of your property, such as a statue, fountain, or stately tree. Stairs can pose a trip hazard in the dark, but step lights mounted on the stair rails or treads help to make them safer and more secure. Wall wash lighting provides an even, ambient light around the perimeter or your home or commercial building. Fixtures are typically placed 12 inches or more from the wall depending on the amount of surface area to be covered. Are you looking to install outdoor lighting for your home in Lawrence, Kansas? Contact us today to learn more, or call us at (785) 843-4370! Installing lighting around paths, walkways, stairways, high traffic areas, or uneven sections of your property can help to prevent accidents, and allow friends and family to successfully navigate your property at night. Adequate outdoor lighting can help to deter criminals from theft or vandalism of your home and property by illuminating hidden or dark areas and points of entry. Guests will feel more at ease visiting your home with a well-lit path to your front door, and your home will appear occupied even if you are away. Increase the value and curb appeal of your property by making it look well cared for and highlighting unique or outstanding architectural and landscape features. Make the most of your outdoor living space and enjoy your deck or patio long after the sun goes down with decorative and functional landscape lighting. 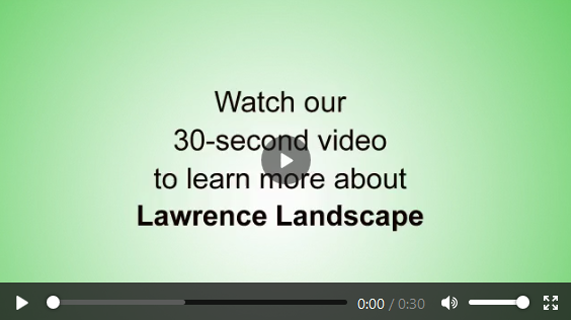 The team of dedicated professionals at Lawrence Landscape has the skills and experience needed to address all your outdoor lighting needs from design to installation. Contact us today to learn more, or call us at (785) 748-1232 to schedule an appointment in Lawrence, Kansas.